These scrolls were unique as no signature and looks like inked art. 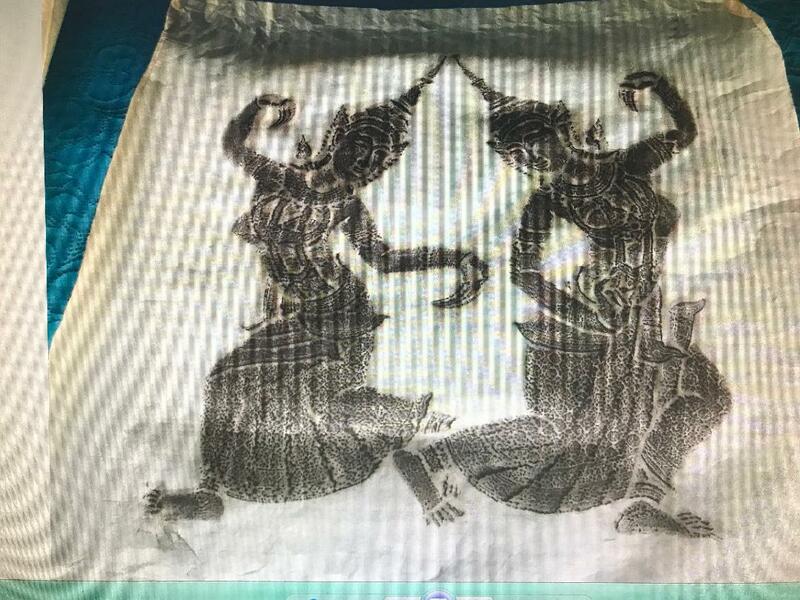 These are so-called "Temple Rubbings" from Thailand, where they have been stock in trade for antique dealers since at least the Vietnam War Era. I understand that the Thai Government protects most sites where the older ones once were rubbed, so suspect newer ones are produced by some other method. Unless you have provenance for these, then your guess is as good as mine as to how much age, if any, they may have. The top one here appears to show Prince Rama and his consort Sita, from the Ramayana Tales. The lower one may depict Ramayana Dancers or celestial figures such as spirits called Nats. The Law of Supply & Demand dictates minimal values for these interesting but widely available commodities. Thank you Bill. These drawings were wrapped around a 1961 Australian (I believe) newspaper. Could they be originals and if so what would be the value? I've never seen or handled any of these items that were considered to be true antiques, and if yours date to 1961, they still look just like thousands of others that came out of Thailand in the late 20th century. 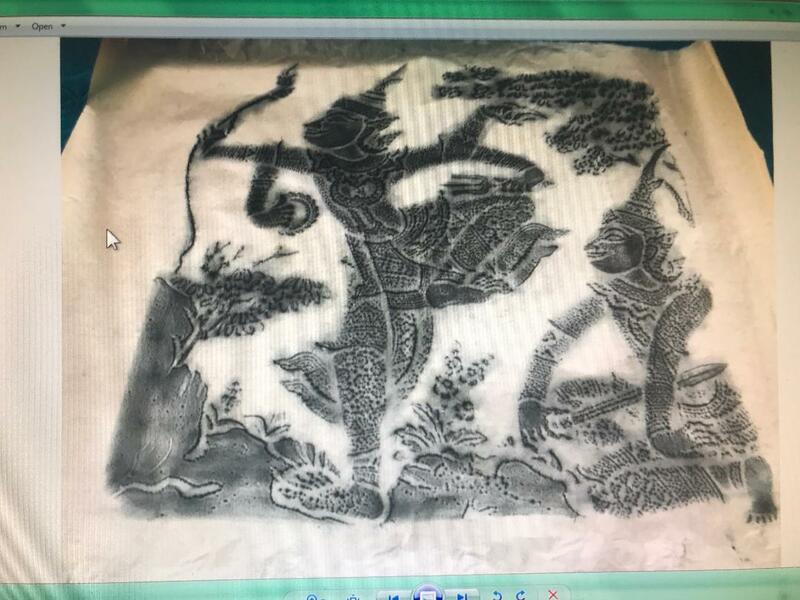 If you visit liveauctioneers.com and subscribe as a member at no cost you'll find prices for a variety of framed, unframed and cased Thai temple rubbings, some just like yours, running from US$10-US$80, most closer to the former price than the latter, and many drawing no bids at all. Can't say I didn't try to break the bad news to you gently the first time. Thank you Bill. I truly don't like things sugarcoated and appreciate your honesty. If I do try to sell them want my info to be correct. Bill thank you for your reply. I sent an earlier message but not sure it went through. These scrolls were tubed around a 1961 Australian newspaper. Do you think they could be originals? The paper is very thin - like tissue paper.